The first in a new YA science-fiction series from author of Divergent. On a planet where violence and vengeance rule, in a galaxy where some are favored by fate, everyone develops a currentgift, a unique power meant to shape the future. While most benefit from their currentgifts, Akos and Cyra do not—their gifts make them vulnerable to others’ control. Can they reclaim their gifts, their fates, and their lives, and reset the balance of power in this world? Carve the Mark has a rock-solid and captivating backdrop. Roth again displays her admirable talents for creating a new world; she describes it in cinematic techno prose that one can easily imagine being transformed into a visually impressive film ... Roth places her characters in a stunningly imagined world, setting them on wondrous planets made of fire, ice or water. They ride in hovercrafts, use out-of-this world technology, participate in richly imagined cultural experiences, fight in arenas and are willing to die to rescue loved ones and vanquish their enemies. 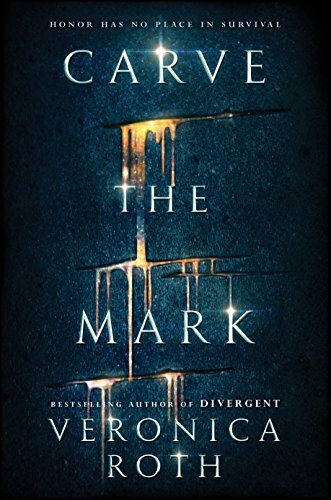 Like the best epics, Carve the Mark is laced with rebel plots, family secrets and political conspiracies all while its young characters struggle to come of age in an unstable world. Sadly, Roth seems to spend more time on scene setting and world-building than on making Cyra and Akos into characters with whom we can empathize or identify. They're believable, yet their perpetual grimness might make it hard for some readers to fully invest in cheering them on. ...offers shades of George Lucas sprawl and influence, Game of Thrones clan intrigue, and a little Romeo & Juliet-style romance. There is an overwhelming amount of exposition to unpack at first, but Carve excels when settling into the core relationship between its two embattled leads ... 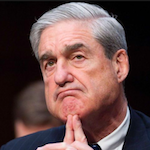 Religious and political messages deepen the narrative, which is filled with both stock supporting players (like the umpteenth over-the-top, bullying head henchman) as well as more nuanced personalities ... There are cliffhangers aplenty and dangling plot lines to lure us to the next book. Roth carves her mark as she continues her ascent in a universe of young-adult stars. ...seems destined — designed, even — for film adaptation ... There’s some jumbled, vaguely science fictional worldbuilding involving spaceships and people from planets of darkness or planets of heat, but frankly Roth could’ve set the whole thing on a single planet and cut down on the potential special effects budget. This story is simpler than it sounds, and even more clichéd than this synopsis suggests. It will doubtless make money hand over fist. What did you think of Carve the Mark?